I have a huge Lalaloopsy fan in my house. My Little One has been Lalaloopsy crazy for as long as I can remember! Easter this year was a super special one because my Little One’s 8th birthday was on Easter Sunday. So the Easter Bunny left a special Easter Egg hunt for my Little One in her room. 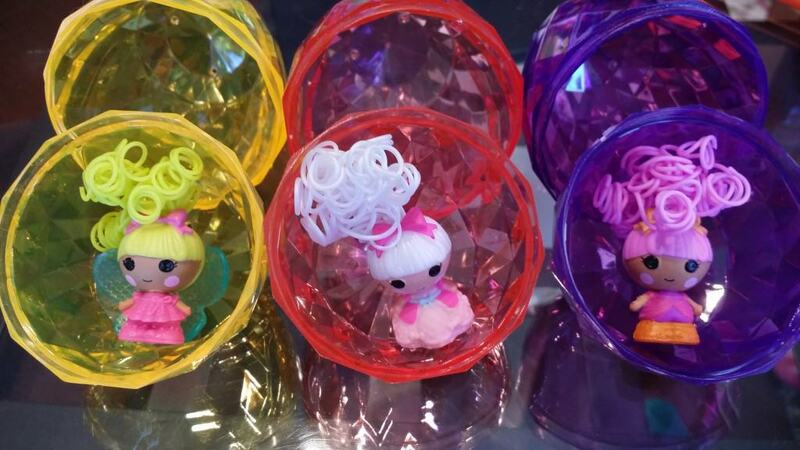 In the special jeweled Easter eggs were Lalaloopsy Tinies with Hair. Oh what a surprise my Little One got. 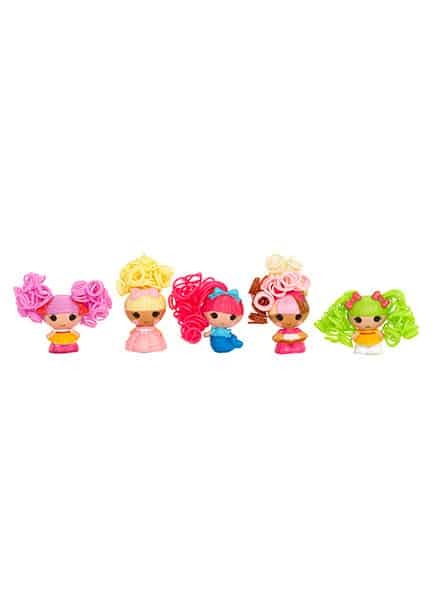 The world of Lalaloopsy™ is getting a little smaller with the new Lalaloopsy Tinies™ with Hair! Each cute-as-a-button character comes with curly lanyard hair and is always looking for a friend to try new styles with. From a friend’s house to daycare, these pocket-sized friends make it easy to bring playtime anywhere. 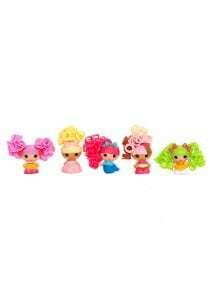 There are three different sets of Lalaloopsy Tinies with Hair. 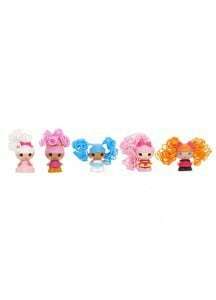 The Lalaloopsy Tinies with Hair are a perfect addition to the original line of Lalaloopsy Tinies. The Lalaloopsy Tinies with Hair are able to be used with the houses and shops that you can purchase for the original Lalaloopsy Tinies series. Here is a photo of my Little One enjoying her original Lalaloopsy Tinies and you can see the house which I am referring to that the Lalaloopsy Tinies with Hair could be played with as well. 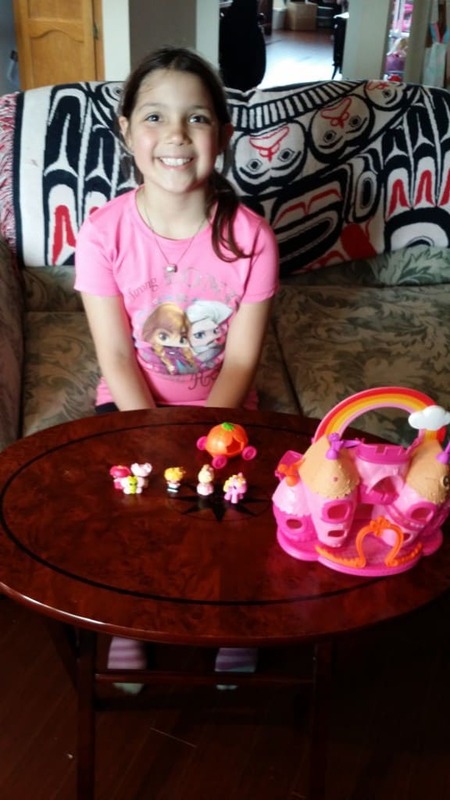 The Lalaloopsy Tinies with Hair toys are great for portable toys whether going on a trip or visiting friends or family. They have even made a few trips to school for some schoolyard fun.